Reduce stress by spending where it counts. When purchasing luggage for yourself or family its best to invest in something that is durable, has great lines and meets with airport security for size and shape. “Can I get one more trip out of it?” and “Hope no one I know see me carrying this!” will be worries of the past when you invest in a quality luggage set that will last you a lifetime. 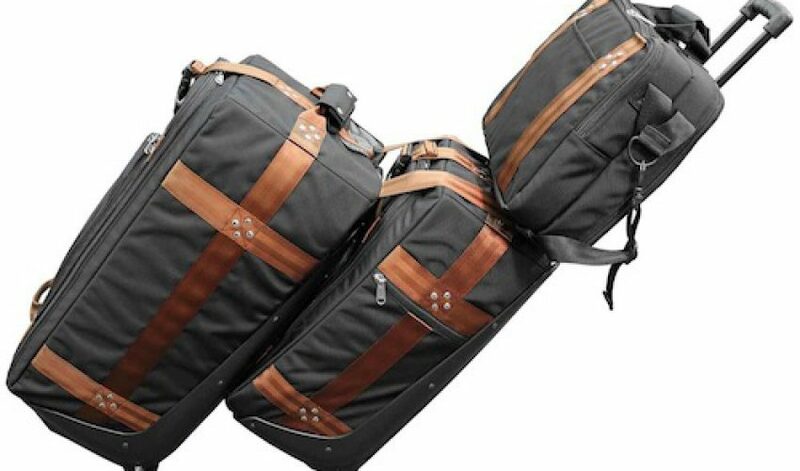 Insider tip: Club Glove USA should be your new standard for American-made luggage, and they offer the word’s first ever luggage connecting system that works! My favorite thing: the three different-sized pieces stow inside the other when not in use to minimize storage space. Fashion your seatbelt. Stylish can mean comfortable and is often more about what you shouldn’t wear. Sneakers? A wrinkled shirt? Where are you going in that outfit? This combo is no way to start your trip, nevertheless end one. Traveling can still be done in style and with sophistication regardless of where you’re going. These days there is no shortage of fine looking, well made, and reasonably priced fashion that offers comfort and style. You owe it to yourself to present yourself in a manner befitting you – you totally deserve the great look which gets you off on your way in style. Be a quick-change artist and well-heeled — after security screening, that is. Be ready to slip off your shoes as required — wear practical loafers or flats — and wearing a simple pair of low socks with them keeps your feet from walking directly on the floors. Once you’re through security, remove the socks if you wish (as I do, or even swap your shoes for sandals if you must), and make your way to the gate. Layer up and layer off. Whether it’s a stuffy train, cool airplane cabin, AC vent blowing from a dashboard, a sunny window without a shade, or a combination of all in one trip, the temperatures you’ll face will vary. Style also means traveling in comfort, so dress in layers. I love a cashmere sweater as the perfect go-to for any trip; one can use it as a cover-up on the beach at night or as an extra layer should temperatures change. A must-have to pack. When it comes to traveling you have some extra sMARts to help you pack, dress and arrive with casual luxury style and comfort. Now share with me: what are your trusty travel style tips?